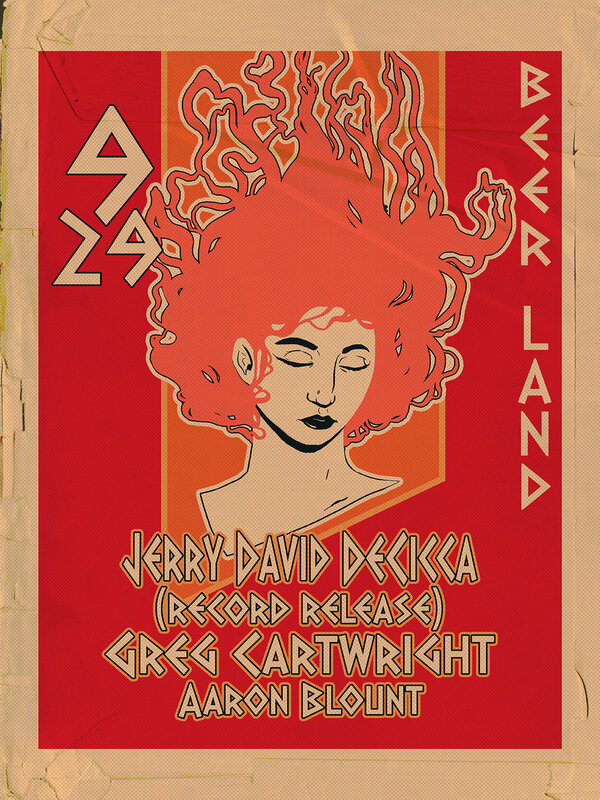 Jerry David DeCicca is the former leader of The Black Swans and producer of outsider songwriter albums by Ed Askew (Tin Angel), Chris Gantry (Drag City), Will Beeley (Tompkins Square). His most recent album, Time the Teacher. Uncut called it a "thing of gentle and radian wonder" and The Fader called it a "remarkable feat of empathy." DeCicca celebrates the release of his new album coming out on Super Secret Records. special guest Greg Cartwright (Reigning Sound, Oblivians) will be closing out the evening with a solo performance featuring a wide selection of his songs written over the years. Knife In The Water frontman Aaron Blount opens the evening playing selections from his upcoming solo album.